Foraying into the laptop segment, country’s handset maker Micromax on Thursday said it aims to garner 10 percent market share in the next 12-18 months. Micromax, which will compete with the likes of HP, Dell, and Lenovo, has priced its Lapbook at Rs. 13,999 that will be available from Friday via Snapdeal. “Micromax has always strived to bring the best technology innovations to close the gap between consumer needs and available devices,” Micromax Chief Marketing Officer Shubhajit Sen told PTI. The Canvas Lapbook addresses the need of affordable computing, in line with the PM’s Digital India initiative, he added. “With our entry into the laptop category, we aim to drive the growth of the category and garner a market share of 10 percent in 12-18 months,” he said. According to industry body MAIT, the notebook market declined 15 percent to 5.81 million units in 2014-15 from 6.83 million units in 2013-14, impacted by burgeoning smartphone sales. However, the industry body has forecast a 17 percent growth in notebook sales to 6.80 million in 2015-16. Previously, Micromax has launched a Laptab (Review) that features a tablet with a detachable keyboard. Of the total PC market (desktops and notebooks), HP was the market leader with 25.6 percent share, followed by Dell – 22.1 percent, Lenovo – 15.8 percent and Acer – 11.5 percent in 2014, according to data from research firm IDC. Powered by a quad-core Intel Atom processor (up to 1.83GHz), the Lapbook will come pre-loaded with the latest Windows 10 operating system. “The Lapbook is designed to cater the needs of young India in Tier II and III markets,” he said. The Lapbook comes with dual speakers, 11.6-inch HD IPS display, 32GB inbuilt storage (expandable up to 64GB), 5000mAh battery rated to deliver up to 11 hours of battery life, and, a seven-day on-site service. It weighs 1.3 kilograms. Micromax also launched the second generation of Laptab, called Laptab LT777, priced at Rs. 17,999, that will go on sale on Amazon India portal from Tuesday. 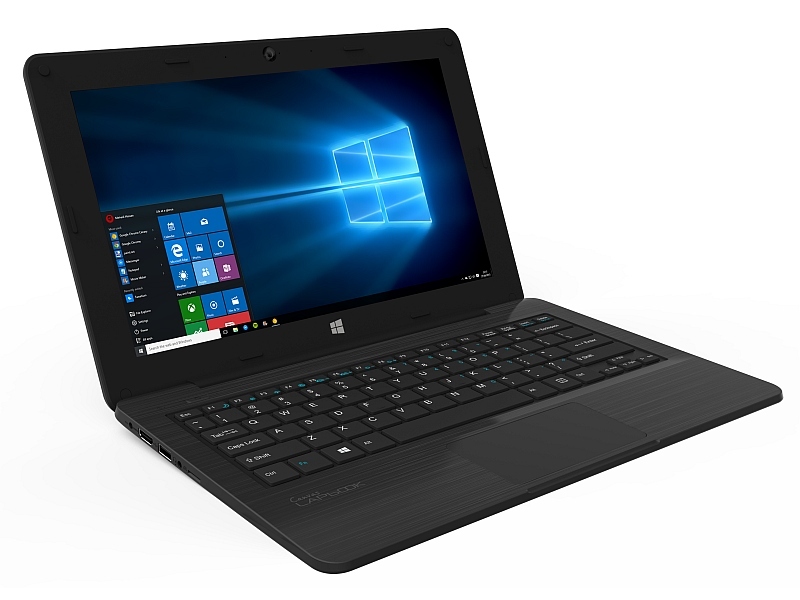 It features a 11.6-inch touch display, Windows 10, and offers 8-10 hours of backup.